With Valentine's week in the very first week of next month, lovers are looking for different ways to express their love. On the second day of Valentine's week that is on the Propose Day, you should also try some unique gifts if you are going to propose your partner. Not only will your lover appreciate this unique gesture but also remember this proposal throughout her life. You must have looked for options to go with. However, look in to the list of products listed below that might seem befitting for you this Propose Day. Since by proposing your lover, you are expressing that you want to give them a happily ever after, why not gift them a happily ever after pendant? These happily ever after pendants are available in different varieties such as pendants with castle shape, wedding wine glass shape, simple silver pendant with “happily ever after” inscribed on it, and more. There are also happily ever after potion pendant, Disney pendant, inspirational pendant, and more. Pheras Knot Pendant is a perfect gift for your partner this Propose Day as it symbolises the value of vows and how you want to implement on them. With the Pheras Know Pendant, you respect the importance of vows that are both said and unsaid. This pendant reflects the importance of love and is especially preferable for an engagement or marriage anniversary or even marriage gift. This Propose Day you are intending to convey it to your partner that you are going to be with them for your whole life and this is what I Love You to the Moon and Back Charm expresses. 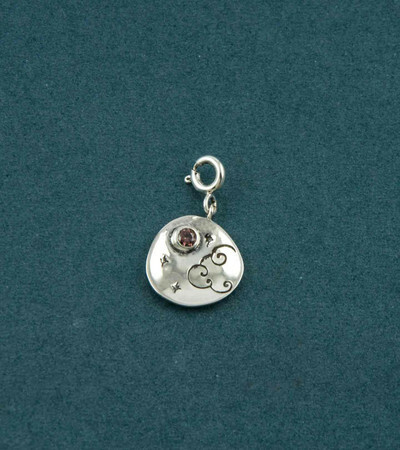 If you are looking to show your love with the sweetest gesture, this charm is the one for you. This pendant is available in a heart shape, crescent shape, moon shape, round shape, and more that are silver or gold plated. Sweetheart Charm Ring is one of the precious gifts you can offer your partner this Propose Day. This sweetheart charm ring is based upon the sweetheart effect and is inscribed with heart-shaped structures. Some of the collections include Senfai Show Love Charm Finger Ring, Sterling Silver Crown Ring, Gold or Silver Chevron Ring, Double Hearts Ring, and more. By infinity, we mean a never-ending relationship and what better way to express your love this Propose Day than with Beyond Infinity Band Ring? With an amazing reflection of love and trust, the Beyond Infinity Band Ring perfectly symbolises your undying relationship. These Beyond Infinity Band Rings help you express your faith and promise while proposing to your partner this Propose Day. Eternity Love Letter Earrings are another such amazing variety of gifts you can offer your lover this Propose Day. These earrings are quite elegant being made of silver, diamond, or gold and are a gesture of your romantic side. These earrings will go with any outfit be it Indian or western type and will thus be an amazing part of your partner's life. So, what are you waiting for? Get your hands on these items to surprise your partners with this exquisite gesture.